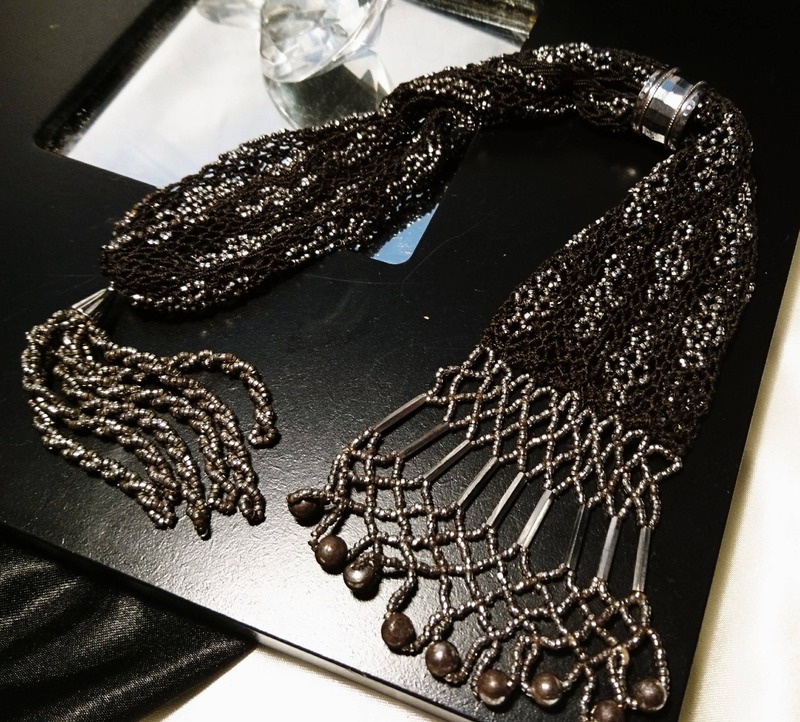 A beautiful and highly collectable antique 'Jews' or misers purse. 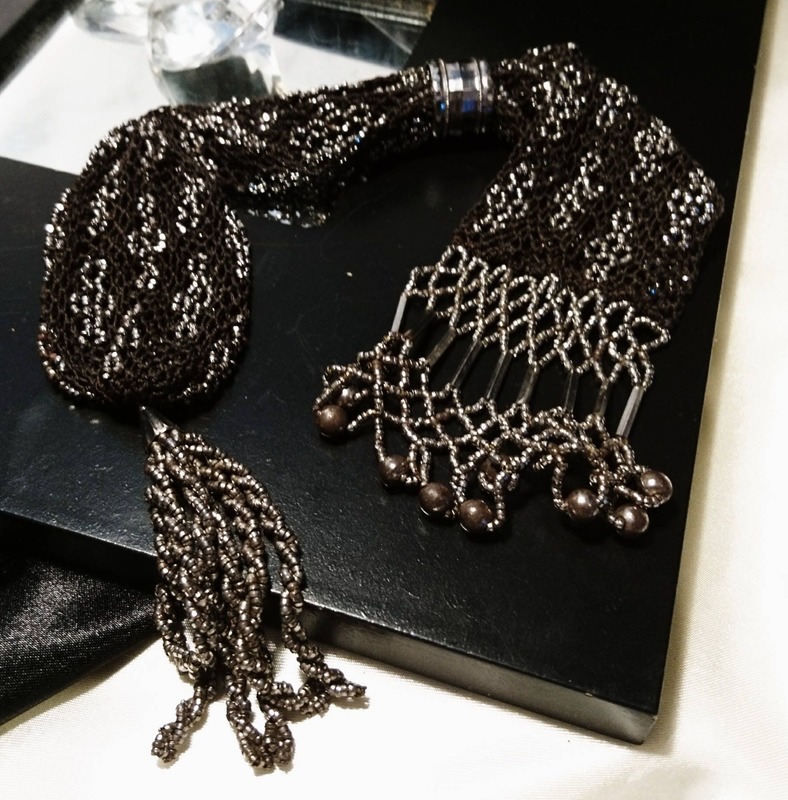 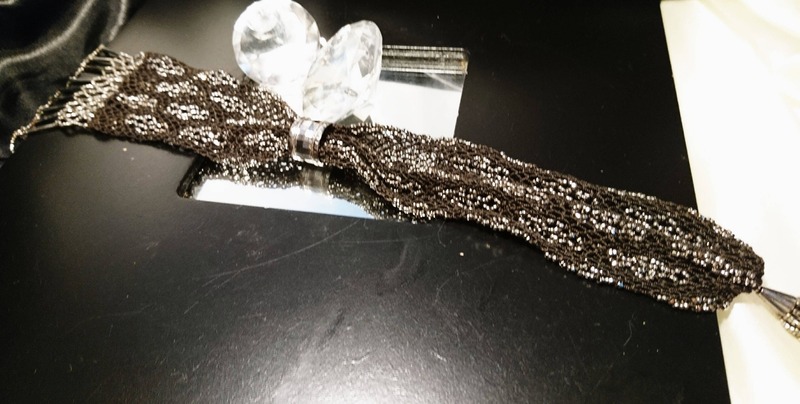 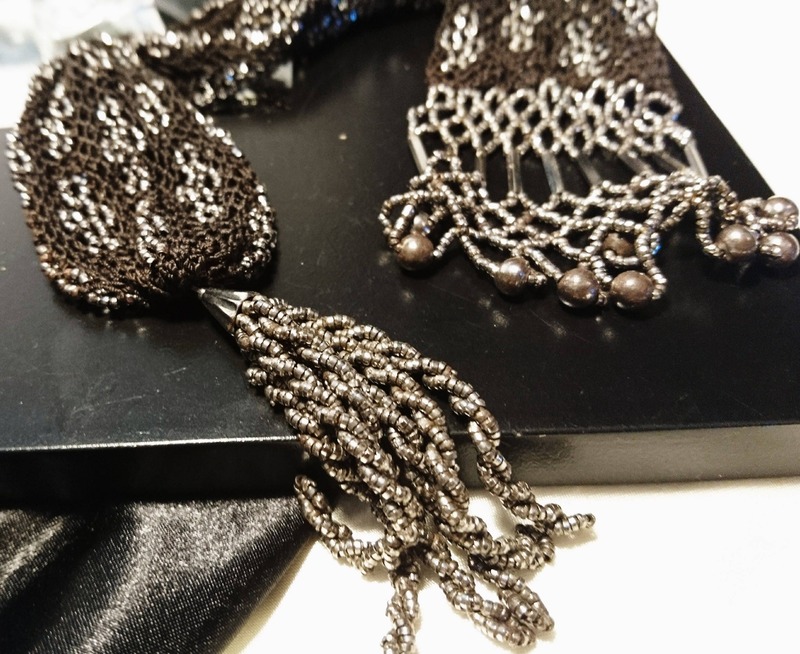 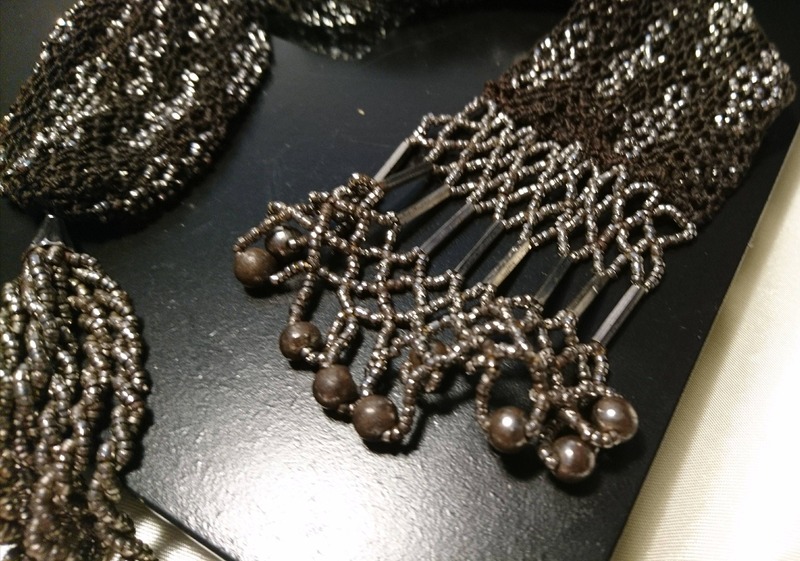 Entirely hand crafted from hundreds of tiny Berlin metal beads, it has a black and silver all over patterned design, it has a lovely gun metal grey beadwork tassle at one end and a panel designed beadwork fringing at the other. 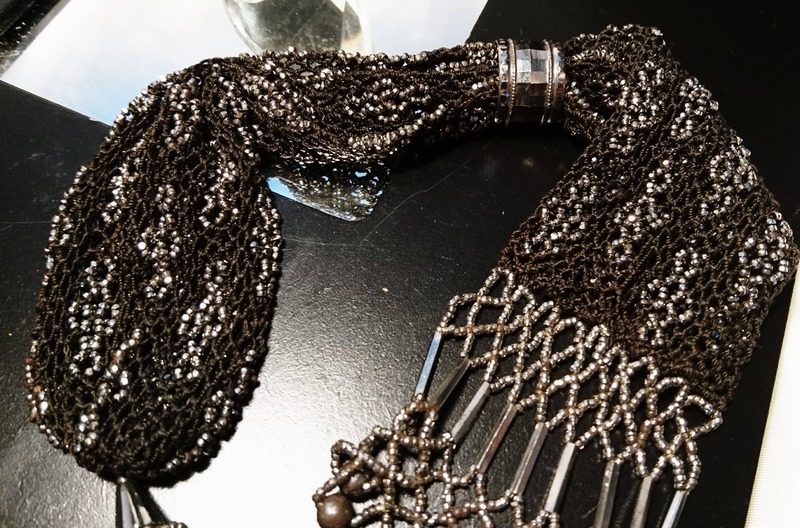 Amazing craftsmanship and this antique beaded purse is excellent antique condition complete with the original white metal ring but just the one.